American views of the U.K. are driven more by cultural factors than political issues, according to new British Council research exploring the future of transatlantic ties, pointing to a crucial role for culture in future relations between the two countries. The current and past actions of governments were only the 16th most important factor (at 17%) in determining how attractive they found the U.K. In the U.K., similarly, current and past actions of U.S. governments were also only the 16th most important factor in young people’s views of the U.S. The research suggests the relationship between the two countries is at root a cultural as much as a political phenomenon, and viewed in those terms it is indeed special and as strong as ever. 69% of Americans surveyed rated the U.K. as “a global power,” placing it above all other G20 countries except China (on 70%). The U.K. also topped the rankings of G20 countries for education and trade, with 43% of respondents identifying the U.K. as one of the most attractive places to study and 35% identifying it as a top partner for trade and business. This is important at a time when the U.S. economy still represents about a quarter of entire world GDP, and remains the U.K.’s biggest and one of its fastest growing trading partners, accounting for a fifth of all British exports. U.S. rankings of U.K. relative to other major countries. The research showed a high degree of shared concern about global issues among young people in both countries with poverty, extremism/terrorism and climate change as the top factors chosen by young people in both the U.S. and U.K. Interestingly, more of the young Americans surveyed thought that the U.K. supports important values (56%) than thought that their own country does (45%). In this respect, they rated the U.K. more highly than other leading countries. Respondents also ranked each other’s countries first, as the most attractive in the G20 for making personal contacts and friendships. Analysis of U.S. internet activity between 2016 and 2018 reveals that 64% of U.S. social media mentions relevant to the U.K. were concerned with culture (sport, music and television), as compared with 18% for politics. Online discussions of pop star Adele, for example, surpassed those of Brexit on average over the periods analyzed, which include the month immediately following the U.K.’s EU referendum vote. Leading British Universities (notably Oxford, Cambridge, LSE, Imperial and Edinburgh) were the most prominent British educational institutions in American Google searches over the periods captured—although all were surpassed by searches relating to Hogwarts, again illustrating the allure of British popular culture across the Atlantic. The internet analysis also revealed that the phrase “special relationship,” used by commentators to describe the U.S.-U.K. relationship, does not enjoy wide popular use—particularly in the U.S. However, the same analysis also supported the survey data findings that there is strong mutual cultural attraction and cultural proximity between the peoples of both countries, and that this is largely unaffected by politics. The research suggests the relationship between the two countries is at root a cultural as much as a political phenomenon, and viewed in those terms it is indeed special and as strong as ever. 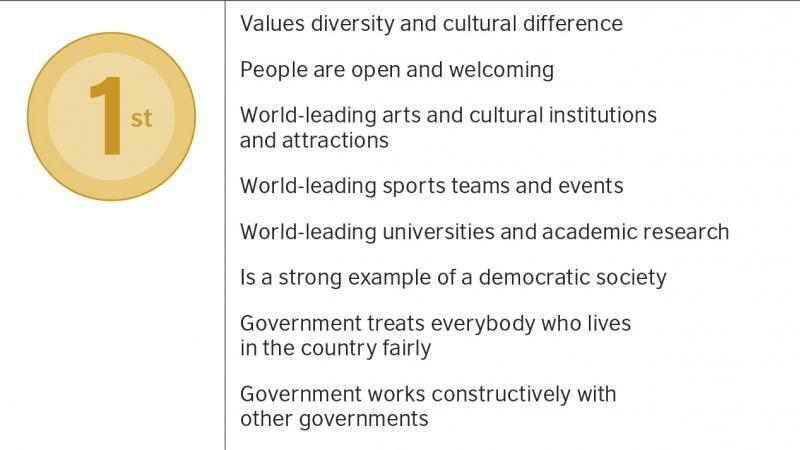 Overall, the research reveals a strong mutual affinity between the two countries, based primarily on deep ties of culture, education, civil society and personal connections. These links should be supported if that affinity is to be further strengthened in the future. Note from the CPD Blog Manager: This piece originally appeared on the British Council's website.